When cash is manually managed on a college campus, it wastes valuable time and resources that could be better spent supporting students and faculty. Venues with high cash volumes are susceptible to theft and misplaced or miscounted funds, while also being hit with costly CIT and bank fees. Cash recyclers and smart safes can help universities better manage their cash. The rumors of the death of cash have been greatly exaggerated. While technology has created new ways to purchase goods and services, such as mobile payments, students still rely on cash for everyday purchases. In fact, cash remains the leading payment choice for in-store purchases costing less than $20 and is tied with debit cards as the preferred way to pay when dining out. So while 85% of students possess debit cards and 77% have tried mobile pay, 86% of students still carry cash. In the course of a single day, students and faculty will visit a wide array of venues to spend their cash. Whether it’s picking up school supplies at the bookstore, buying seats for a concert at the student union, picking up a latte at a campus coffeehouse, or snagging tickets to the big game at the ticket office, multiple college facilities take in large amounts of cash on a daily basis. 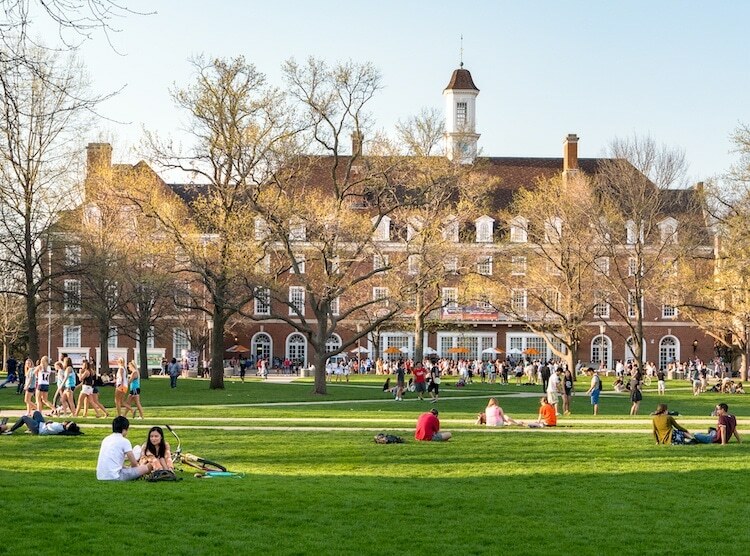 In addition, college campuses are attractive to QSR brands, from fast food to fast-casual to snack shops, all of which take in a lot of cash. Without a proven solution to secure and automate cash deposits, universities will be burdened with higher labor costs, accounting discrepancies, internal theft, and banking fees. There are a number of steps that administrators and managers can take to help protect the cash their venues take in every day. First, they should create a plan for how cash is to be handled and provide guidelines to all employees who manage, receive, handle, and safeguard cash. The most significant risk to many organizations is human error and internal theft, so it is also essential to reduce the number of people handling cash from the point of sale to the deposit at the financial institution. Finally, managers should establish secure cash transfer techniques when funds need to be transported to the bank. Minimizing the availability of large amounts of cash at campus locations by using a cash recycler or smart safe from Tidel is the most effective way to protect funds. Tidel cash recyclers help high volume cash entities re-use the cash they take in, in order to manage their day-to-day cash needs. This helps reduce the amount of cash needed on hand, while at the same time providing a level of automation and accountability required to effectively manage high transaction environments. Tidel smart safes provide automated bill counting and deposit functions along with extensive reporting capabilities, enabling campus venues to gain tremendous efficiencies and optimization of cash management processes. Best of all, the advanced reporting functions and dashboards provided by cash recyclers and smart safes can help university administrators gain a bird’s eye view of their cash business across their campus. Learn more about Tidel cash management systems at https://www.tidel.com/products/.